There are also some differences in the nutritional composition of a duck egg compared to a chicken egg. In general, duck eggs contain more protein, calories, fat, dietary cholesterol, vitamins and minerals than chicken eggs. Eggs from pastured ducks will be higher in nutritional value than eggs from birds that are ‘cooped up’. If your doctor has you on a low fat, low cholesterol diet, you might want to stick with chicken eggs, or egg whites. But, most health experts now agree that exercise levels, saturated fats and trans fats have a greater impact on our cholesterol levels than dietary cholesterol. Duck eggs do contain more saturated fat than chicken eggs…something to be aware of if you have a history of heart disease in your family. Black Cayuga egg in foreground and Pekin egg in background. If you like trying new things, enjoy different flavors, or just have an abundance of duck eggs, I encourage you to try eating duck eggs in place of chicken eggs for breakfast! If you like sticking with foods that you enjoy and don’t have an adventurous palate, duck eggs might not be the best choice for your breakfast fare. Try using them in your cooking and baked goods instead! 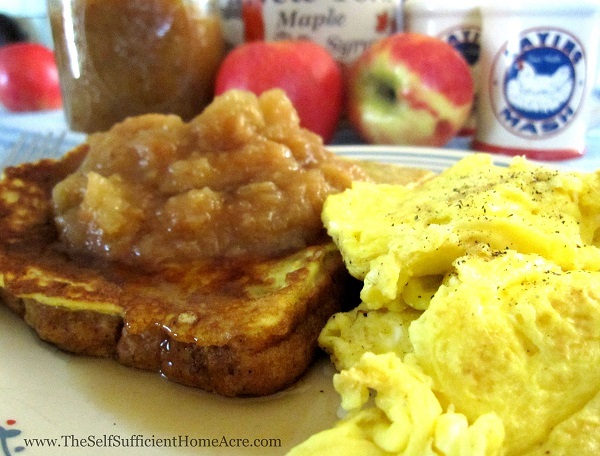 French toast made with duck eggs…and scrambled duck eggs on the side. Quick breads, cakes, muffins, brownies, and other goodies are delicious made with duck eggs in place of chicken eggs in your recipes. My Mom used duck eggs for cakes when I was a kid and I can still remember how moist and wonderful those cakes tasted! How many duck eggs to use in place of chicken eggs? I realize that this is a bit confusing and it took a while for me to get the hang of using duck eggs in my recipes. If your ducks lay eggs that are similar in size to a chicken’s, then I suggest using the same number of duck eggs in place of chicken eggs. Pekin eggs are about 1.5 times the size of most chicken eggs. 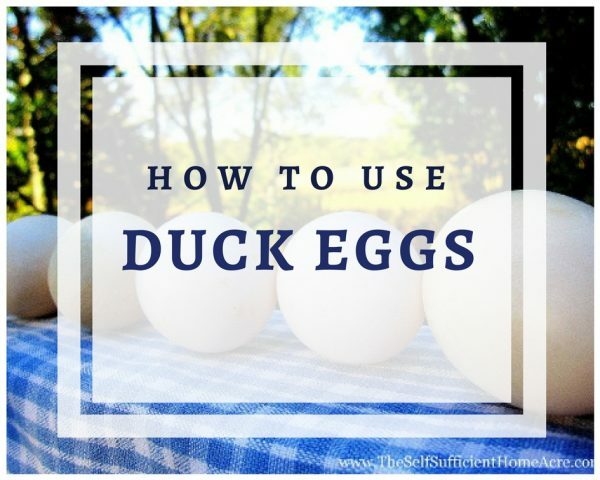 You may notice that using the same number of large duck eggs in place of large chicken eggs will give you a very moist, and possibly heavy, finished product. If you are going for light and fluffy, you may want to remove the yolk from one duck egg. What Else Can You Use them In? Now that I have a small flock of 6 Pekin ducks, I am collecting 3 or 4 duck eggs each day. Although I don’t care for these eggs in my omelet, I really do enjoy using them to bake homemade treats for lunch boxes and desserts. They also make great French toast, custards, puddings, deviled eggs, egg salad, omelets, quiches, and souffles. Because duck eggs have a harder, thicker shell than chicken eggs, they are reported to keep longer in storage. It has also been my experience that duck eggs keep longer than chicken eggs and I have kept them in the refrigerator for up to 4 or 5 months with no problems. If you wish to store them longer, I would suggest coating the shell with mineral oil before stashing them in the fridge. If you are collecting more eggs from you ducks than you can use, there might be a market for duck eggs in your area. For an in depth guide to selling eggs from your homestead, check out my article How to Sell Your Farm Fresh Eggs. Hatching your own ducklings for replacement layers or for sustainable meat production is a great way to increase your self sufficiency. Duck eggs take 28 days to hatch, compared to chicken eggs which take 21 days. 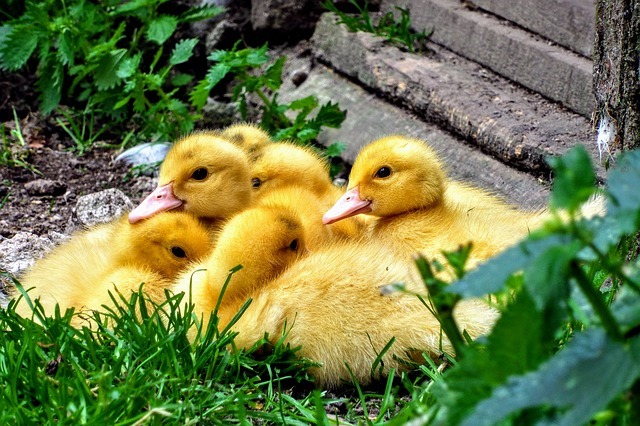 You may have people in your area who are interested in purchasing ducklings for their backyard flock or homestead, so this could give you additional income potential. Check into availability and interest in your area before you start! For more ideas for using your extra eggs, check out What to do With Extra Eggs. » Do You Want to Keep Ducks? Thanks for the ideas! A co-worker just gave me a dozen duck eggs, so I’ll try your applesauce cake, with my own organic applesauce 🙂 I’m adding a link back on my blog! Thanks so much for sharing a link! I’m glad that my post is helpful and I hope you enjoy the cake! How nice of your co-worker to give you a dozen duck eggs. 🙂 What a sweetheart! I just made a batch of organic applesauce yesterday…perhaps I’ll bake a cake too. Thanks for stopping by! ,years. At the moment the chickens are laying more eggs. One of my kids likes the chickens better as pets be prefers duck eggs for eating. I don’t keep a rooster as I live in the city, but have raised babies from my ducks. That’s great that you’ve been having such good results with your chickens and ducks 🙂 I think I like the ducks better as pets and the chicken eggs better for eating! Lol! I really get a kick out of watching the ducks take a dip in their water. That’s wonderful that you can have chickens and ducks in the city and it isn’t such a big deal to have no rooster. I do enjoy hearing our rooster crow and he does a good job of watching out for the flock…but I have had a flock with no rooster and they did just fine. Baby ducks are such a hoot! Thanks so much for sharing! We have two peking ducks and one is currently laying eggs, so far 10 within two weeks. Do you know how to handle these eggs once they are laid? How quickly do we need to remove them, do we just put them directly in the refrigerator, ready for use, etc? These eggs are very soft to the touch, does the shell harden over time. We have had these ducks since birth and they are 6 months old. You handle them as you would chicken eggs – wash and put in the refrigerator. The soft shell is strange. Sometimes they lay a soft shell until their reproductive tract is working correctly. But that many is different. Is their feed a layer feed or do they have access to as much oyster shell as they want? If not, you need to do one or the other to provide them enough calcium to make a complete shell. I’m thinking the same thing…make sure their feed has enough calcium. I have had one chicken hen and one duck hen that always laid an egg without a shell. I suspect that there was a genetic issue because the others in the flock laid normal eggs. Both were sent to the stew pot after they were give a chance to start laying normally. You all may want to try selling your duck eggs if you have a plethora. I have a friend who’s child has an intolerance to chicken eggs but she can have duck eggs & it’s always been hard for her to find local people who have duck eggs for sale (until she found me, of course). Hi Lisa, With l0 Muscovy ducks this year we are getting lots of eggs this spring. Like you I use them in baking but have been leery about eating them as I have read they can be “gamey”. But I love toast dipped into a soft boiled egg for breakfast so finally “bit the bullet” and tried a duck egg. To my surprise there was no difference in taste at all and a LOT more yummy yolk to enjoy. So I am going to start using them for eating as well as baking. Glad you like them! Are you going to try hatching some out? I have some duck eggs and will probably get many more. I want to know how many of these huge eggs would work in my cookies? I normally use 2 chicken eggs, but I’m not sure about these duck eggs. Lisa Steele from Fresh Eggs Daily told me that if you are using 1 or 2 chicken eggs, substitute with 1 duck egg for each chicken egg. If your recipe calls for 3 chicken eggs, use 2 duck eggs. I hope that works out in your recipes! I like the eggs scrambled, but with other stuff added like rice and/or ham or something. It’s not so much flavor as texture there. I take them to work with me and “fry” one in the microwave and eat it on toast – that way if I run out of time at home I always have some breakfast. I baked pumpkin bread with them the other day and yes, it took a while longer to set up, but it was sooo rich and good. We also took deviled duck eggs to a family event – the best part was the kids who swore they wouldn’t try one ever ever ever not realizing what they were eating until afterwards. I also sell a half dozen eggs to my boss every week, as her kid is reactive to chicken eggs, too. We are just now kicking into our first fully mature spring with them, and we’re getting three a day off the hens from our first group of ducks. Now that we’ve got some steady supply, I’ll be trying a lot more stuff out with them. That’s awesome, Sara! Thanks for sharing! Good question, Cathy. Thanks for the suggestion John. They do have 1/2 doz cartons for goose eggs. I have resorted to putting my duck eggs in every other cup of the egg cartons that I reuse. Then I put my chicken eggs in the empty cups. This works well for storing in my fridge or for folks who want half duck and half chicken eggs. But it doesn’t work for selling a dozen duck eggs. You can also use turkey egg flats. 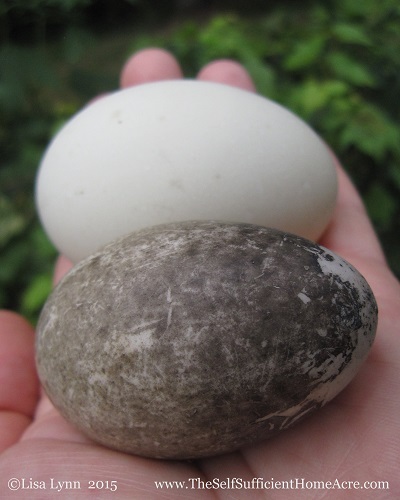 Turkey eggs are the size of Pekin eggs so can handle almost any duck eggs. The problem with flats is they hold 20 eggs and don’t have a lid. Thanks so much for reading, Alexa! Best wishes! I just google duck eggs and gluten free baking and came up with your blog as I’m in the process of writing a post on duck eggs and memories. My thoughts were triggered off by a photo from a friend…..you’ve an awesome blog. Lots of reading for me to catch up on. Many thanks. My college age son fries duck eggs all the time and loves them. I mix duck and chicken eggs for scrambled eggs. If I use sharp cheese and veggies no one can tell what kind of egg I am using. Most of my duck eggs are used in baking or meatloaves. Recently I took an egg candling class so that I can sell eggs at farmers markets. Looking forward to the new venture. I like them better mixed too…and most of mine go in baking. But I won’t be baking as much for a while, with the warm weather coming and spending more time outside. Awesome job on the class and selling eggs! Will you be selling duck eggs too? I live in Seattle and spent my 23rd anniversary on the Oregon coast. On the drive back up we noticed a sign “Fresh Duck Eggs” on the driveway of a lovely farmhouse. I love duck eggs and prefer to eat them instead of chicken eggs, so we happily bought 2 doz. Well, this weekend I made “refrigerator” omelete- extra pieces of goat cheese, dill, onions and leftover salmon. It was fan-tastic! Thanks for your recipes. Will try them soon. We have 3 ducks (and a dozen & a half eggs in the incubator). We have one Peking, one Khaki Campbell and one Rouen. We hatched them. They are 15 months old. When they started laying, we got 3 eggs/day for about 6 straight months. Haven’t seen an egg since. Hopefully they will start laying again soon. Baking with duck eggs is wonderful! My daughter does the office birthday baking for all her co-workers. They all rave about how moist her cakes are. Some of them started asking for duck eggs for their own baking. I have always wanted some Khaki Campbells! I think their eggs are smaller than the Pekin eggs I’m getting…and would fit in an egg carton better. If your ducks started laying in the spring, then they are probably taking the winter off. You can put a light on a timer in their coop to come on for about 15 hours a day…this might stimulate them to start laying again. I have only had my ducks for about 10 months so I will be watching to see if they take breaks or if they lay year round like chickens do, if they have artificial light. What kind of duck eggs are in the incubator? Are they from your ducks or did you buy fertile eggs? I am hoping to incubate some duck eggs this year. 🙂 Thanks for stopping by! I bought the fertile eggs from a nearby farm. She has quite a variety of ducks, but most of the eggs were supposed to be Khaki Campbells. She just threw in whatever else she found when we got them. Along with some silkie and mottled cochin eggs. I have no real use for bantam chickens, so my granddaughters will sell those when they hatch. They don’t produce enough to feed me, and ornamental doesn’t mean anything to me. So those will be a project for the girls. We had bought the incubator from the same woman 15 months ago, and when we got it, she threw in 3 duck eggs. That is where our 3 came from. All 3 hatched and were 3 different varieties. The size difference in the eggs wasn’t very much. We still couldn’t fit them in the cartons, lol! We seem to have much better luck with duck eggs hatching. With the turkeys we did, only 3 of 6 hatched. Cornish Rock X hatched 8 of 16. We did buff Orpingtons, and only got 4 from a dozen and 2 were roosters. We live in the city limits on 2/3 acre, so roos are a no-go. They were delicious, however! What fun! Let me know how the hatch goes. 🙂 I’ve never put duck eggs in the incubator, but I’m hoping to do that this year. I read that they need a higher humidity level than the chick eggs…are you keeping the humidity higher for the duck eggs? I’m interested to hear how this all turns out. I guess I have to look for larger egg cartons! I can’t keep the duck eggs in the regular cartons very well. 😉 They want to roll out. I haven’t tried hatching eggs from Cornish X and read that they aren’t good for breeding, but I have one Cornish X hen that I want to try hatching eggs from. It will be interesting to see how that goes. I just butchered 10 cockerels and they were tasty too…good for you for putting them to good use! Thanks for the info… And be sure to stop back and let us know how your hatch goes! Hi John…thanks so much for the info! 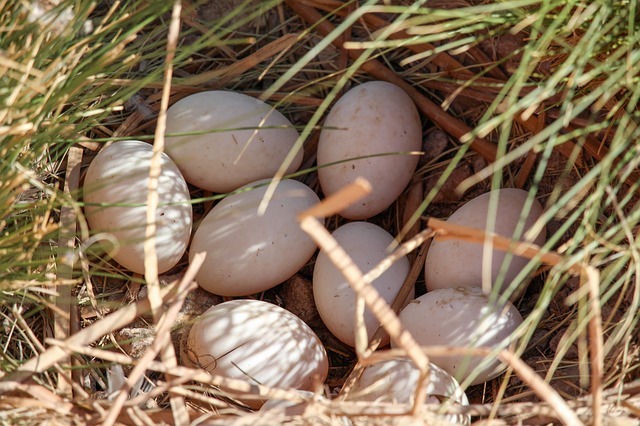 I haven’t tried hatching waterfowl eggs yet, but your site will come in very handy when I do! Thank you for sharing your knowledge! The Cornish Rock X eggs we got as a 4H project. The extension office got them for us. We did have a Cornish Rock X hen live long enough to lay, but we didn’t keep any roosters around to have fertile eggs to try hatching. That might be interesting, though! Oh, gotcha! I wondered because usually the Cornish X are ordered for broilers then butchered. 🙂 I’m not sure how well most of them would do as they get too big, too fast. My hen was a runt and I decided to see if she would survive and lay eggs…she is laying better than most of my other hens right now! I used duck egg yolks once when making a custard based ice cream. It was by far the creamiest and tastiest ice cream I’ve ever made. Thanks for all the information! Mmmmmmm! That sounds delicious, Sarah! Thanks for sharing! Thanks, everyone, for the wonderful tips about use (and freezing) of duck eggs! I have recently become able to get them semi-regularly from a local farmer, and am so excited! I am now eagerly looking forward to using them in my holiday baking for richness, texture, and fluffiness! First up is sweet-potato pecan pie, and probably some cheesecakes (a local dairy makes their own cream cheese from organic RAW Jersey milk). And maybe mushroom-brioche bread pudding instead of a standard dressing. I really feel inspired, so thank you all again, and Happy Thanksgiving! I’m getting hungry reading about your recipes you’ll be making with those duck eggs! How exciting! I ‘d love to hear how you like them. 🙂 Thanks for sharing with us! I’m so glad to help out with ideas. Well, the duck eggs worked beautifully in the sweet-potato-pecan pit custard. It was light and puffy, but not flimsy. I didn’t like the topping, and won’t make that version again, but the custard was great! Yesterday, I baked my signature lemon-wild blueberry (local ones!) cupcakes using duck eggs. The cupcakes took over twice as long as usual to bake, but they are the best ever! Rich, light, tender but not crumbly. Today I will ice them with lemon-cream cheese (also local!) frosting, and give them to friends and neighbors. Yum! Your goodies sound super delish, Ellen! Merry Christmas! Thanks for sharing with us! Years back when my girls were little, we had a few Bantam Chickens who ran free around the back acre, along with a couple of Layer hens. At night they roosted in the back of the Barn and the kids loved the Bantam eggs. I had no problem getting them to eat scrambled eggs. One spring day, we went to the local hatchery and picked up three Peking Duck hatch-lings.. The Girls thought these ducklings were just the best, because they would follow them all over the place. Our enclosed porch, with a big box, was their home at night..until they were big enough, to go with the chickens into the barn. One day one of my Daughters came into the house with a Large egg, one of the ducks had laid out back by the wood pile. NOW, we had three sizes of eggs.. and my girls thought this was a riot. Three sizes of eggs and three Daughters. The following morning I took three sizes of eggs and made a scrambled omelet with sausage crumbles, veggies and cheese. I couldn’t tell the difference in the egg taste when they were all mixed together. That next day, when the girls went to the barn to look for eggs, they found another duck egg by the wood pile.. and we had a mixed egg scrambled omelet again. As time went along, we discovered we had two female Ducks with one Drake. When we had ample duck eggs, a neighbor took a few of the eggs home with her and I made home made noodles with Duck eggs. I also used them in cakes, cookies and bread pudding, among other baked items. For some reason, I never ate a duck egg by itself. The real fun came the following Easter.. when we had three sizes of Easter eggs. My oldest Daughter is fifty years old now, and they have a small farm..across country from me, while I live in an apartment. I miss growing our own veggies and the menagerie of animals we had, especially the hens and ducks. After all these years, I’d like to know if anyone has taken Duck or Chicken eggs and froze the raw eggs? If so, does it change the composition of the egg, when you bake with them or use them in custards? Does anyone fry the frozen eggs for omelets? I’d like some instructions please. I buy eggs from free range chickens and they are so much better than store bought. Yet sometimes I find myself with extra eggs, and I’m looking for alternatives in storing them. Thanks. You can freeze raw eggs: crack the eggs into a bowl and beat. Add a pinch of salt or sugar to the egg mix and stir. Pour into ice cube trays or into freezer containers. Label containers with how many eggs (I recommend freezing in the amount that you would usually use…1, 2, or 3 eggs work well) and freeze. Use two ‘ice cubes’ for 1 large egg. The salt or sugar stabilizes the eggs so that they will have a better consistency. If you don’t use it, the eggs have a rubbery texture. I’m so glad to provide some new info here and there. 🙂 I never considered that the higher calories and fat would be helpful…but you’re absolutely right. For people who are having trouble getting enough nutrition, this would be a great advantage! I don’t have a problem with getting enough calories. 😉 I think it’s great that you are providing a healthy, homegrown food for your friends! Thank so much for stopping by and sharing that info! I have a friend who buys by duck eggs for her daughter, who is autistic and on a very specific diet that does not allow chicken eggs. I’ve also heard that people who have an intolerance to chicken eggs can eat duck eggs. That’s really interesting. I wonder what the difference is. I find that our dog can’t eat chicken eggs on a daily basis, or he gets an ear infection. At least, I think it was the daily raw egg on his food causing it. He might be able to eat a duck egg each day. I’ll have to try it and see what happens. Thanks for sharing! If anyone has more info on this topic…I would be interested in hearing about it! We ship duck eggs out every week to people that are allergic to chicken eggs but can use duck eggs. I cannot say that everyone that is allergic to chicken eggs can eat duck eggs but many can. Well this is very good to know! Thanks for sharing, John! I keep ducks & chickens too. Like you, my family ( myself included ) do taste a difference between the two and prefer chicken eggs for eating cooked eggs. I use the duck eggs in baking and they are perfect for cakes & cookies for the reason you posted. I did not know about the fat content in duck eggs, and also much of the nutritional info, thank-you ! I enjoyed this post and learned something too. A lady friend of ours buys the duck eggs and says they are very good for her husband who suffers from Parkinson’s Disease. He likes the duck eggs, and since he eats very little, the high fat content and extra nutritional value is a good thing. You can’t get better layers than Khaki Campbells. I have 5 ducks and have only gotten less than 5 eggs a few times since they started laying. They also lay good sized eggs. I love to use them in casseroles but I agree, they smell and taste “gamey” when fried. I don’t notice a difference in taste when scrambled but they are a bit rubbery when fried. 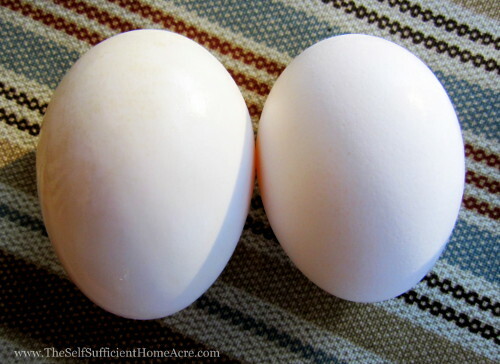 All eggs start to lose moisture through the shell immediately after laying. The float test only tells you they have lost enough moisture that the air sac in the egg is large enough to float the egg. The egg inside will just be more “concentrated” as it has lost moisture. This water loss is perfectly normal – during incubation an egg will lose about 15% of its weight before hatching. Duck eggs do not whip up as easily as chicken eggs. My mother used to add a touch of baking soda or lemon juice to the egg white before whipping them. She also said to make sure they were at room temperature before whipping. If you do this, they will whip up quite easily – and hold their “fluff” longer than chicken eggs. Does anyone know why duck eggs are better for baking? Is it merely taste or do they have some other advantage over chickens eggs? Thanks for the info and tip about whipping duck eggs…I’ll have to try that! I think the reason that duck eggs are so good for baking is the higher protein and fat content. The extra fat makes the finished product more moist and tender, and the extra protein makes the texture more spongy. I have read that using duck eggs in gluten free baked goods will help them rise and have a similar texture to baked goods with wheat flour. I haven’t tried it, but I expect that this would be the case. Has anyone out there tried using duck eggs in their gluten free baking? Thanks for the great post! …Visiting you from The Creative Home & Garden Blog Hop. I bet the duck eggs do help with gluten free baking! Thanks for visiting! I agree with you and the other commenters who feel that duck eggs have a stronger taste when scrambled or fried or when you can actually taste the egg. However, they are certainly wonderful when baking, especially in cakes! Glad to know I’m not just crazy 😉 Thanks for sharing your experience with us, Home Chicken Coops! I agree, duck eggs do taste a bit more ‘eggy’. I don’t mind them scrambled with a nice sharp cheese and some herbs, but I do mostly save them for baking because everything comes out better! The ‘official’ ratio is 2 duck eggs equals 3 chicken, but like you I just use them one for one without any trouble. 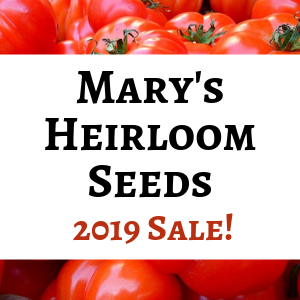 Thanks for linking up this week to the From the Farm Blog Hop! Thanks for sharing the ‘official ration’ Lisa! I’ll have to try them scrambled with some cheddar and herbs…that sounds good! We don’t have ducks, but our neighbors do. I have been wondering what the difference was between duck, and chicken eggs, thanks to you now I know, thanks for sharing. My two Anconas have been giving me two eggs each day, but are slowing down a bit now while they are molting. I love these eggs and use them exclusively. Today I made a wonderful omelet, love them either scrambled or fried. I feel that duck eggs are what boiled eggs should be—big, creamy, bright yellow yokes held together with sturdy whites. Following Carol Deppe’s suggestion, I place the egggs in cold water, bring to a boil, remove from heat, then cover for 15 minutes. When possible , let them cool on the counter. I think the key to eating duck eggs may be to cook them slowly with a lower heat. I’m spoiled now that I have an alternative to grocery store chicken eggs. Thanks for the tips! I’ll have to try them that way. I haven’t eaten eggs from the store in several years…I can’t imagine going back to buying those pale yolked eggs again. 🙂 Thanks for sharing with us! I tried steaming them (about 20-25 minutes), per a suggestion on another forum, and it worked really really well. Especially for those fresher eggs – most of them peeled very nicely. We go through them so fast we never have any that are a little older and supposedly will peel better when hard cooked. Worked great for doing deviled duck eggs. It was good read! duck eggs taste different from chickens eggs(which we mostly eat and prefer) because we are used to eat chicken eggs,some folks who only raise ducks and eat their eggs may prefer it over chicken eggs.It takes time to develop taste. and that would be great topping on the chocolate pudding (which my hubby LOVES!). Nom nom. I love our duck eggs, too. We have mostly Muscovy, but also Ancona and a Buff Orpington. I’ve noticed our eggs last easily a month in the refrigerator. Longer than that and I do the float test to check them before using them. They’re usually fine, but better safe than sorry! 🙂 Nicely written post! Thank you, Jennifer 🙂 I’m hoping to try Muscovy someday…but not until I have a smaller flock! I used to use the float test, but found that eggs are actually ok for baking even after they float. Maybe others will prefer to toss them out, but I haven’t had any problems. Thanks for the info. We have been wondering the difference, our local farmer changed to duck eggs and the kids were a little worried. I plan to let them read your post. I bet they’d love some duck egg brownies! I hope they enjoy reading this post! We have a small flock of Peking Ducks as well. One is a drake and the others are layers. We average 4 a day, but a lot of times we end up with five. We also do not like them scrambled or fried, so we use them strictly for baking. I have 1 drake and 5 females…and we seem to be up to 4 or 5 eggs a day from them too! I’m going to have to get crackin’ on the home baked goodies! Thanks for sharing your experience! Ahhh, I miss my duck eggs. I have a difficult time keeping the foxes out of the duck house at our place, so I don’t have any ducks at the moment. I especially like watching a mother duck with ducklings. Look for the Australian fox proof chook proof dome chicken tractor. They put a kiddie pool under the edge that lets ducks come and go but keeps chickens in and foxes out. They call chickens chooks there, and I don’t quite get the dome structure, but its the pool and the apparent indication that ducks can be trusted to return to safety more so than chickens that interested me. That sounds interesting…I’ll have to look it up. Thanks!